I strongly believe the best way to get your kids active is to make it fun. This same thought process is also true for adults. When I saw that there was going to be a Color Dash 20 minutes from my house... I knew the kids would love it and I would love doing this with them too! 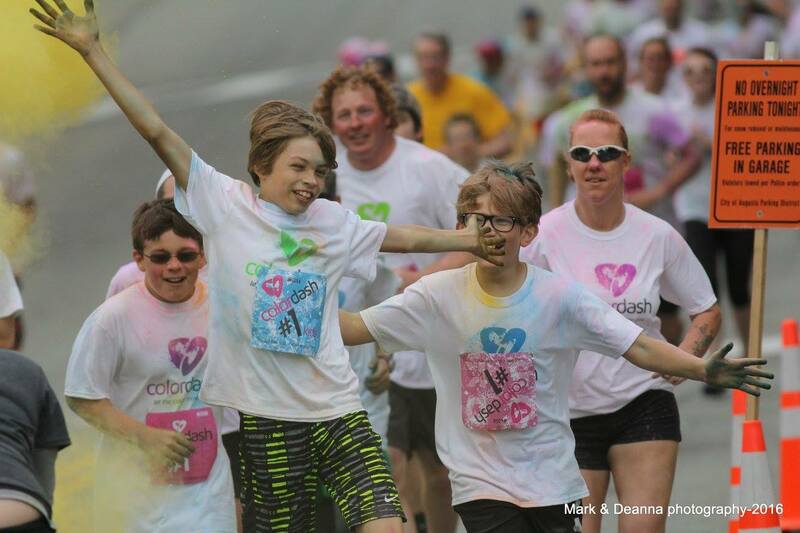 I was curious about how the Color Dash differed from the other color runs and was pleased to find out that the Color Dash donates 50% of the profit back to the community where the race is held, I'm thinking it's a great race to do! When I showed up to the packet pick-up, I was amazed and impressed to see the huge number of volunteers running the show! I loved that the race was held on my favorite Kennebec River Rail Trail. A place I love to run. And was super happy the kids could run it with me too! I found the race to be very well organized, the volunteers were super friendly! And there were several local businesses there offering breakfast foods. Again, the local involvement was awesome! He won't admit it, but he loves running. Seeing the smile on his fast after running is evidence enough for me! By the way, he ditched me on the run and went ahead. When I saw him, he definitely was working hard. And I got to hang out with this girl.... doing her absolute best! This was the first time she finished a 5k on foot. Such a big girl!!! she really did have a great time.... it's just that the sun was in her face! While I wasn't with Tucker during the race, there were professional photographers along the course who shared the photos for free. I found this one of Tucker with his cousin and friend. See? 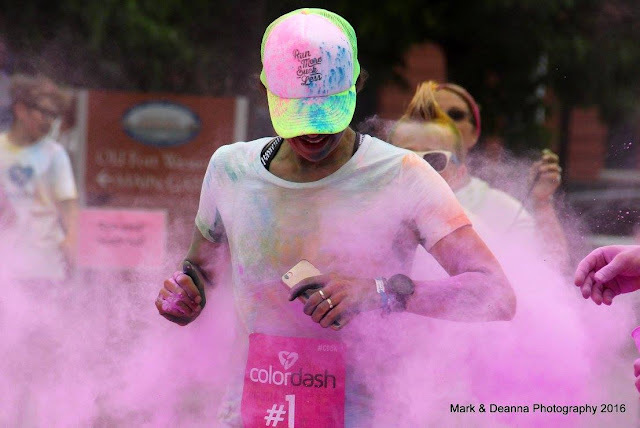 He loves running and getting covered in color powder! Then I found this gem. I freaking love it!!! If you have a Color Dash near you, you should check it out!!! Check out race locations here! Disclosure: I was provided free entries for the family in exchange for this post. However, I was not required to give a positive review. As always, my opinion expressed on my blog is 100% my own.